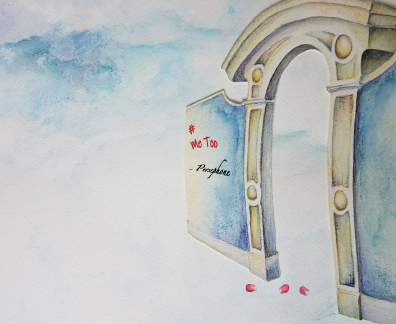 I'm excited to announce a handmade, limited-edition of 50 copies of my newest book #Me Too -Persephone.. Artist Talk by Ingrid vB. Porter. November 7, at Art Gym Denver, in conjunction with her "Otherworldly" exhibition. Here's the link to the Art Gym announcement. For those of you in the Denver area, Ingrid's book "Grief" is now available through the Tattered Cover bookstore! Order online here. Ingrid's limited-edition book "Grief" was purchased by the University of Denver Libraries, Special Collections & Archives . Special thanks to Abecederian Gallery for featuring this book! As part of Art Week 2017, Ingrid's paintings were featured at Colorado College along with other CC artists. Here's the article in the CC Alumni Bulletin. "Grief" was featured in The Metropolitan, Metropolitan State University's online publication in October 2016. .